Northeast of Bologna, along the 12th-century Canale Navile that gave Bologna a shipping outlet to the Po, is the town that gave the famous rulers of Bologna their name. They built the imposing Castello in 1475, now home to a medical institute. 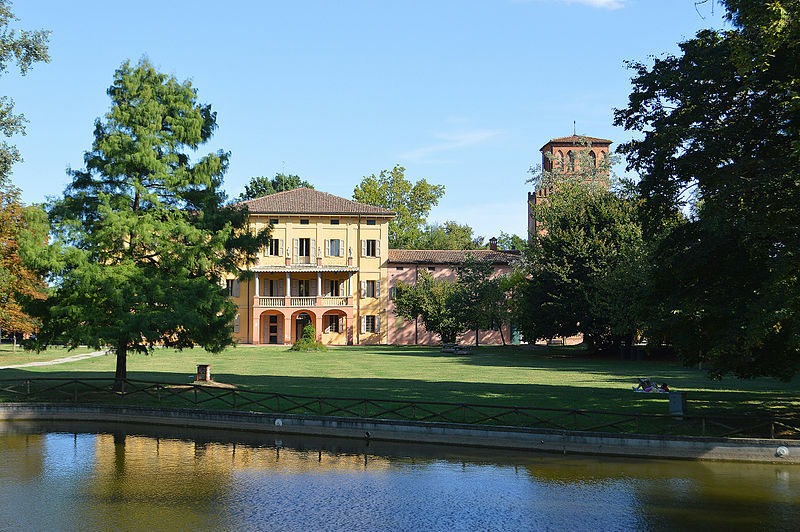 In San Marino di Bentivoglio, 3km south, the Museo della Civiltà Contadina occupies the lovely Villa Smeraldi and its park on the Navile Canal, with extensive exhibits of traditional farm life and crafts. Bentivoglio’s former rice paddies are now a 21ha wetland nature reserve, the Oasi La Rizza, home to a summer colony of white storks, managed by a local agriturismo of the same name offering the chance to combine bird watching with lunch (Via Bassa degli Albanelli 13; +39 051 664 0076). Getting there: Several buses (Nos. 376; 95; 377 and 378) from Bologna coach station. Hours Mar-Nov: Mon, Wed & Fri 9.30am-12.30pm; Tue & Thu 9.30am-12.30p, & 2.30-5.30pm; Sun & hols 4-8pm (May-Sep), other months Sun & hols 3-7pm.